With temperatures cooling down and love for travel increasing by every second, it’s the perfect time to make your thoughts typically turn to planning your vacation. 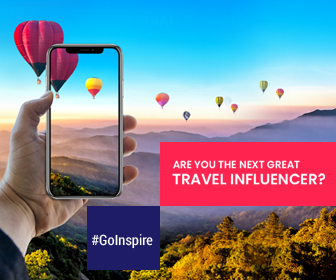 Throw in lots of time and you’re beginning to imagine – “How could you make your holiday to be the best?” Surely, for your imagination to touch the reality, it is important that you pick a perfect stay. Experiencing life-changing moments is not too easy, but what you’re about to see could definitely fall under that category. Go ahead and gape at these marvelous beauties – These five unique hotels around the world have all the essentials for an unforgettable luxury getaway. A Sense of privacy, captivating design, and unforgettable views – you have everything in one place. The new hotel, part of Marriott’s Autograph Collection, combines beautiful Neoclassical architecture with bold Lazaro Rosa-Violan interiors. With cotton being a prominent feature throughout the hotel, every aspect of the hotel is designed with elegance. Guests are provided with never-ending, modern and luxurious amenities which allow them to live just a lavish life throughout their time here. 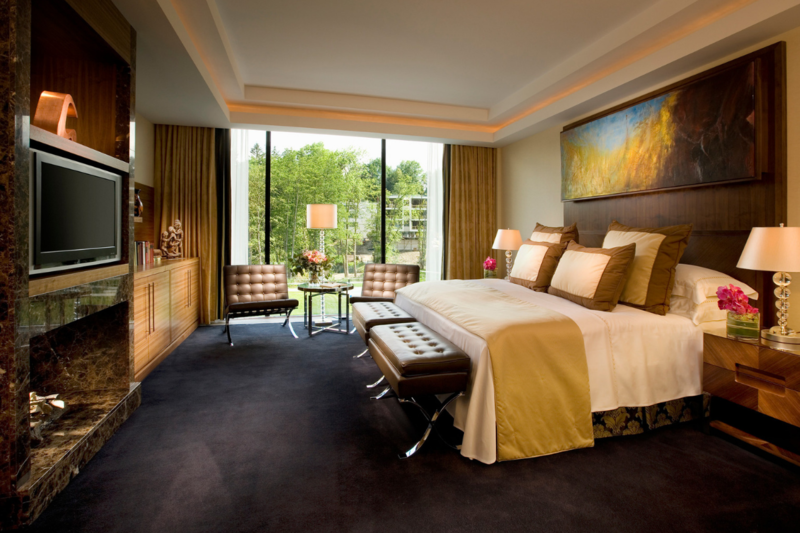 The sophisticated style of the hotel gives its guests a comfortable yet classic vibe. 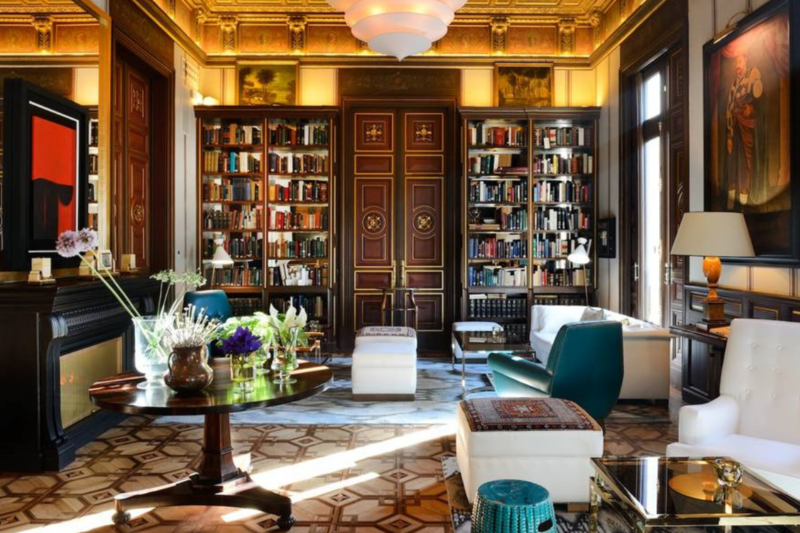 With a library that is a blend of historical elements with historical elements blended with a mix of styles, guests may find it hard to reason leaving the place during their time in Barcelona. Settle down on the lobby at the library where you can take in traditional English tea while exploring histories of Barcelona. Are you salivating? Then head to Batuar. 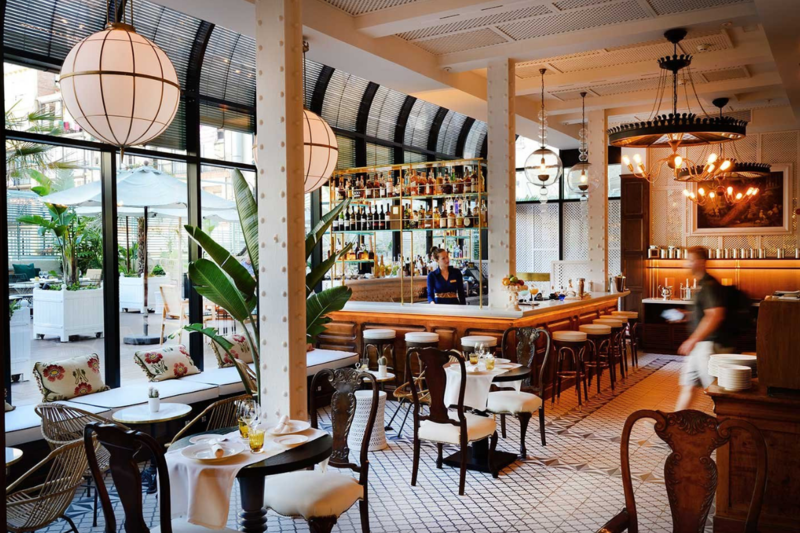 Batuar – The colonial-style Mediterranean in-house restaurant – offers a wide range of local fare, all made with market ingredients of the very highest quality typical of Mediterranean cuisine and Catalan cuisine. It serves an outrageous breakfast buffet, included in the price of your room. 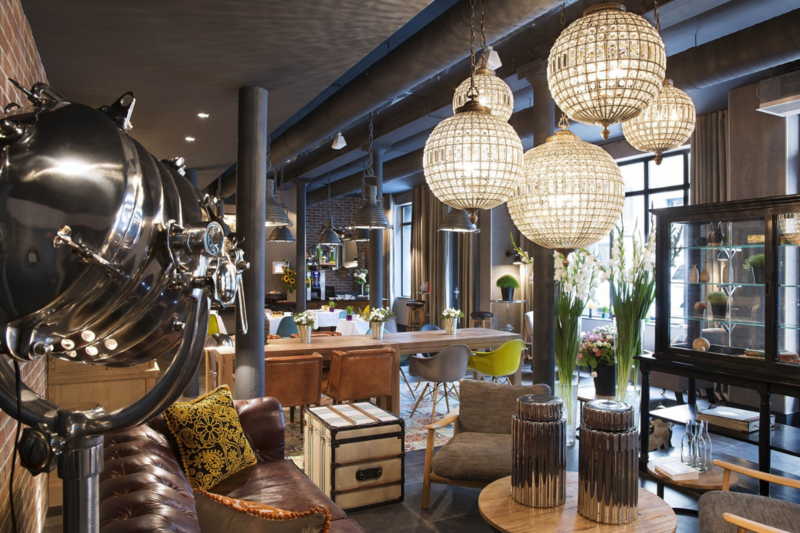 The upscale boutique hotel is part of the rich cultural character and is enviably located in the very heart of Amsterdam’s historic center, by the picturesque Prince Canal. The accommodating spaces offer a friendly environment without barriers to experience an entirely seamless relaxation. 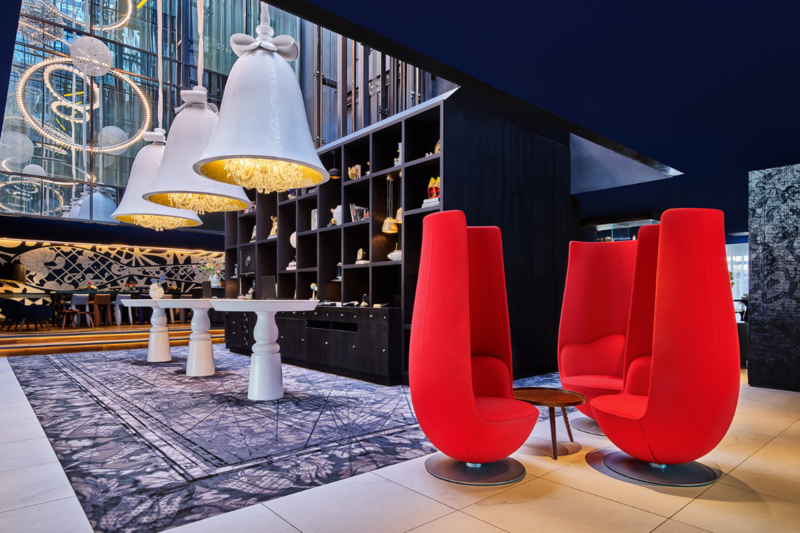 This makes Andaz Amsterdam the ideal base for both leisure and business travelers. 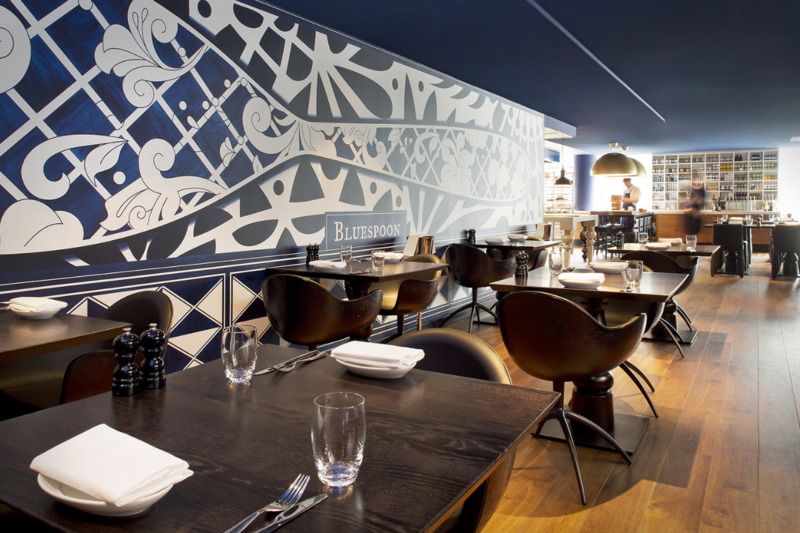 Dine at the Bluespoon – the hotel’s restaurant – whether you are sipping from a coffee or a cocktail, extravagance always lingers in here. The chef brings a French-style culinary flair to local Dutch ingredients reflecting tastes of Dutch onto local cultures. The look and feel of the hotel is refreshingly hip but very well done and sophisticated in every way. Thus balances well between old and the contemporary. The lobby itself is quite the best example for this. It’s impressive with huge light sculptures hanging in the air, completely modern with a pinch of the authentic allure of Dutch designing. 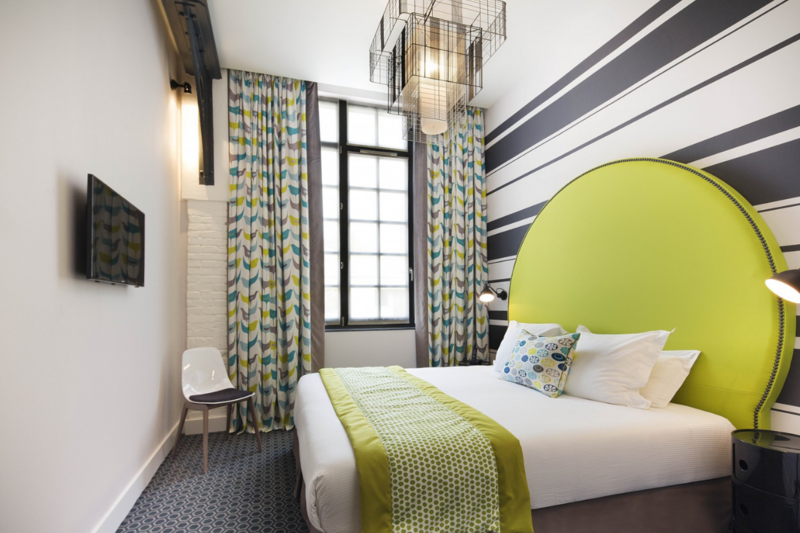 Ideally located in Paris’ fashionable 11th arrondissement, Hotel Fabric is a place which holds an authentic feel and a unique identity. 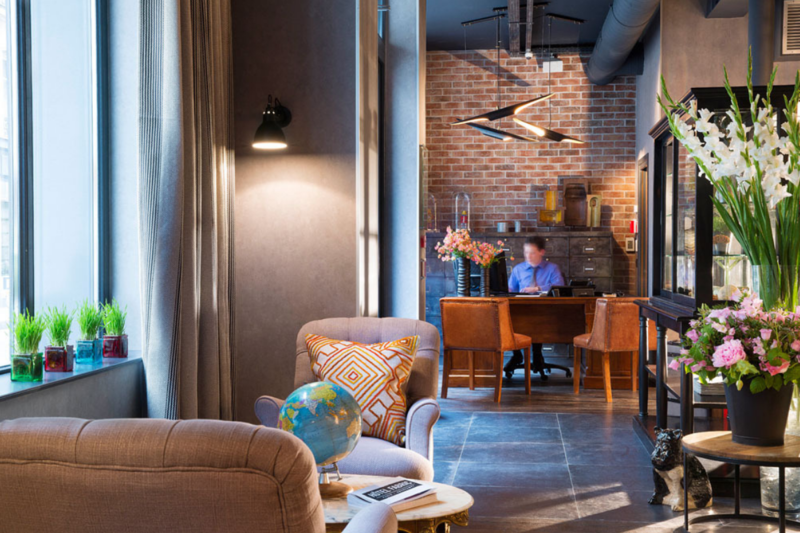 The hotel is made of a metal structure, of raw materials and brick walls, and it is ornamented with huge windowpanes, giving the place an eclectic mix of design and flea market. Rest and unwind after a long day at the lobby while you enjoy a hot drink. Café Caron – the coffee shop – has marked its fame at par and stood as the best Persian Café in Paris. One doesn’t have to even sip the coffee but just smell the intense aromas of freshly roasted coffee to be lost in deliciousness and flavor. 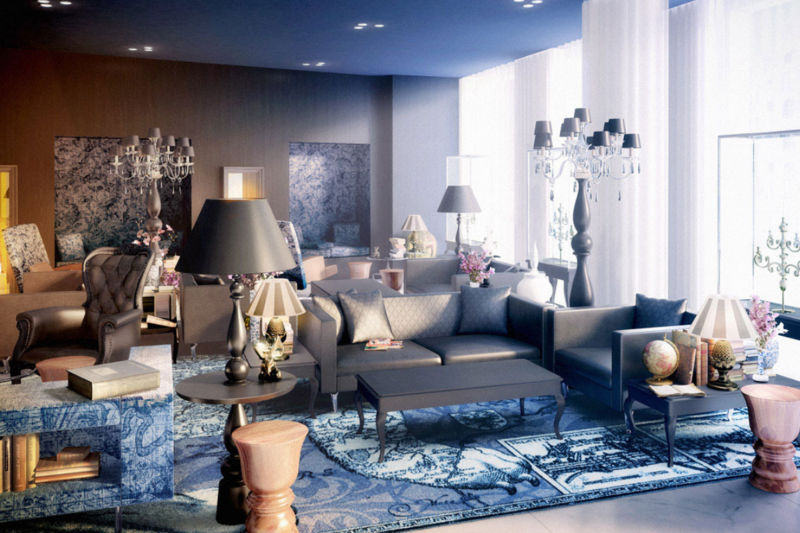 Stylish furnishings, colors, and quirky design-centric elements create a sumptuously comfortable atmosphere. The hotel features the most delightful guest rooms. With striking interior design, tasteful taupes, wilfully colorful walls, high-backed beds, and refreshingly good lighting – rooms create an enchanted sense of luxury. The tones of the cushions and the anise décor are just perfect to have sweet dreams. Artful, creative, and full of character – each unit has its unique theme and character. 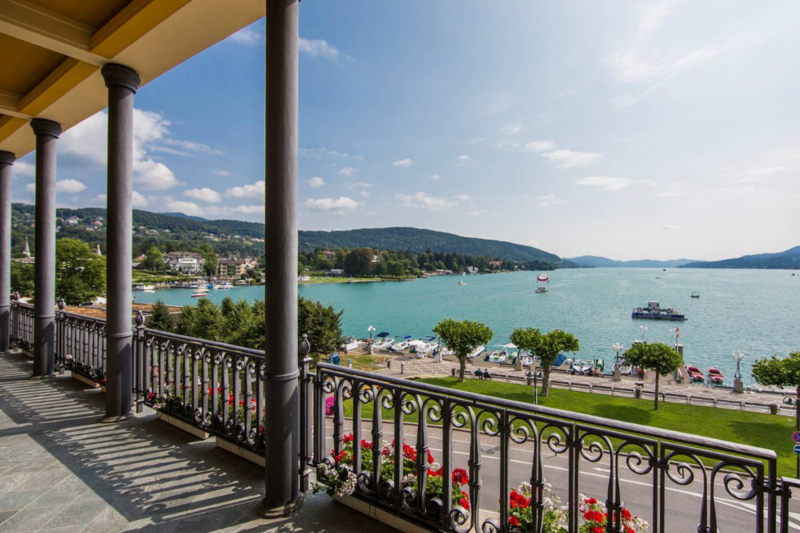 The hotel is located right on the shores of the turquoise lake Wörthersee, which is extremely beautiful with crystalline blue water. In addition to stunning views of the gardens and the lake, the hotel offers a private lake access, high-class rooms, and suites, spa facilities like steam baths, sauna, indoor pools, and many more health services. It features princely rooms and suites with elegant, pastel yellow facade décors. The rooms are well furnished, bright, spacious with high walls and perfectly decorated to create an atmosphere so romantic and gorgeous. The classic white marbled bathrooms allow one to take a long bath in the beautiful bathtub to enjoy the tranquility and to rejuvenate senses. From a culinary viewpoint, Lunch at the spa bistro is simply amazing. From various egg dishes, a huge selection of bread, sausage, cheese, fruit, cereals to pancakes, waffles, and pancakes, you get everything your heart desires. 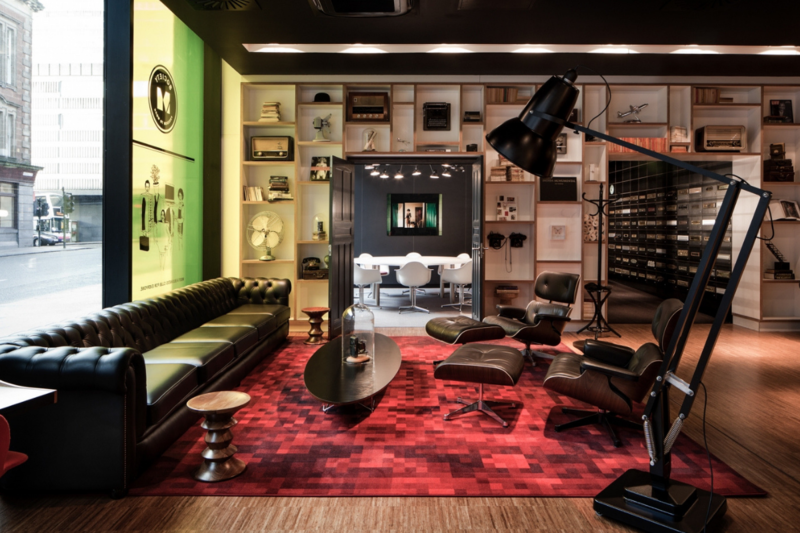 The citizenM, boutique-style accommodation, has such great interiors with a cutting-edge technology. You can just lay down wherever you are and control everything in your room. You get a tablet with which you can control the blinds, the color, and mood of the lighting. Isn’t that cool! All the room s are space-efficient and incredibly vivid. 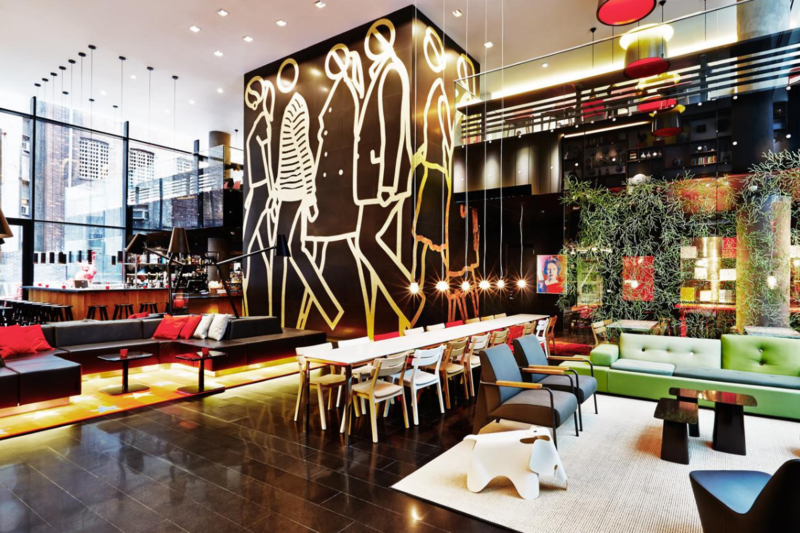 The citizenM is an affordable luxury. Common spaces are full of life. 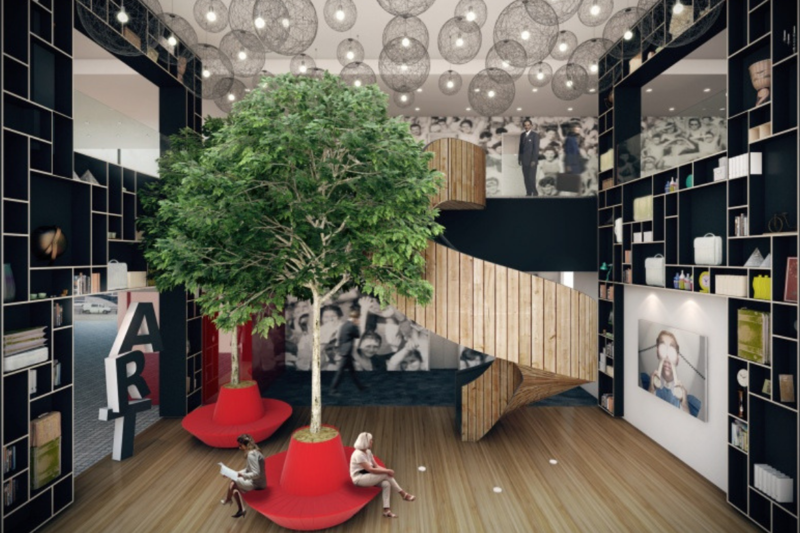 Elements like red & black color scheme, elegant furniture, timber helical staircase, and many more architectural features take the whole area to a next level. While you enjoy the cool interiors of the hotel, your eyes would most possibly be drawn towards the Island bar. 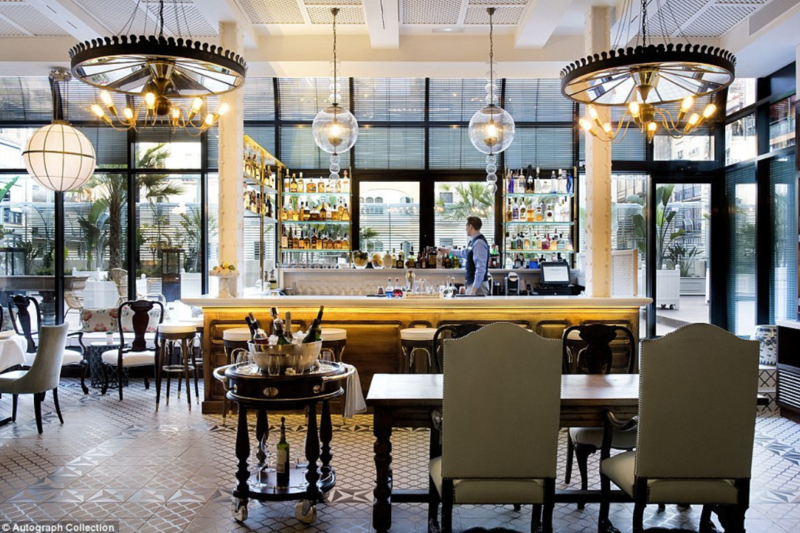 This bar is beautifully located next to a semi-open kitchen which extends to the dining area. It’s such a modern station that you would probably stay up here all night while trying a great collection of delicious warm dishes and lovely beverages.